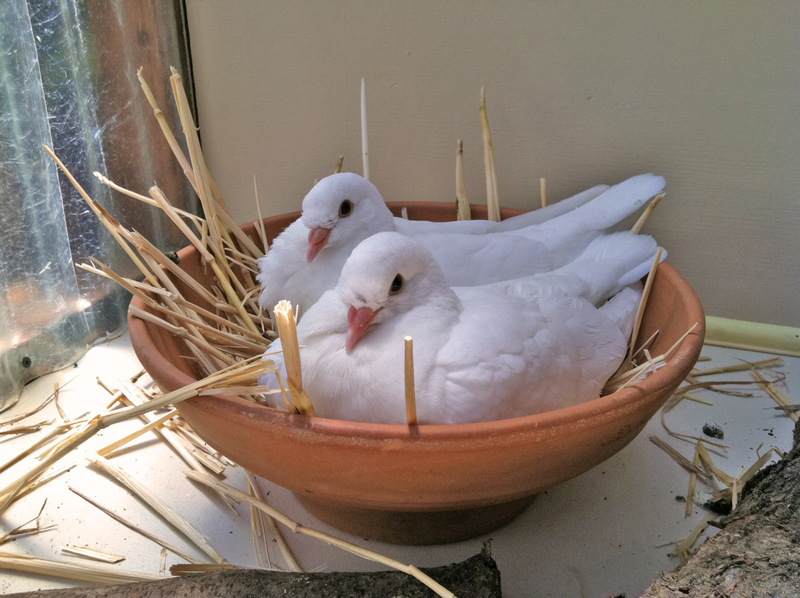 Two baby king pigeons were fortunate enough to avoid being butchered as squab and then somehow survived long enough on the street to get picked up by SF Animal Control Officers and taken to the shelter on 4/5. 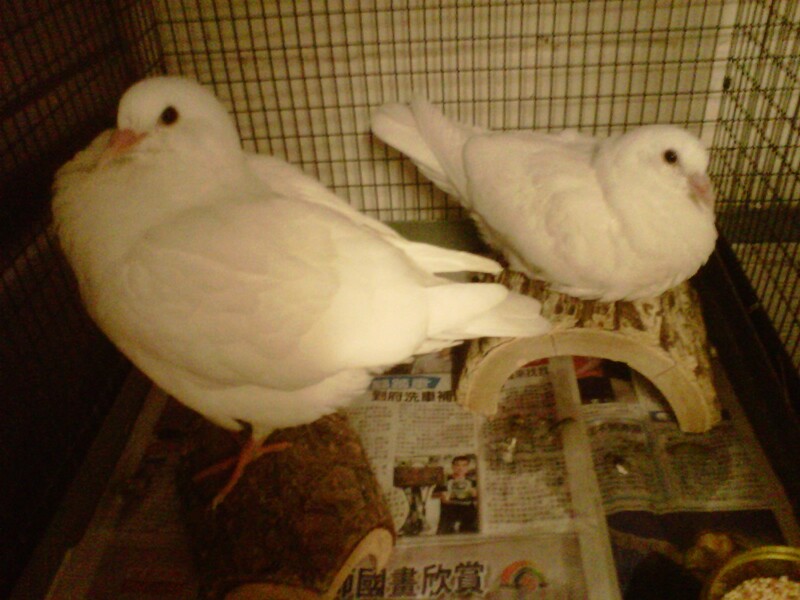 Volunteers named them Popcorn & Snowball. On Monday 4/7, SFACC volunteer Amaryllis noticed that they weren't eating much and that one was making respiratory sounds and she contacted me for help. With her and another volunteer's help (thanks, Kate! ), they were delivered to me and I was able to start them on antibiotics and supportive care. They responded beautifully and on 4/11 I had the pleasure of delivering them to their forever home. Betti came along to supervise. This was one of the most wonderful rescues I've ever been a part of. We all- shelter, volunteers, pigeons and adopter, were in sync and working together smooth as silk. It was also a very special experience because these two homeless pigeons had something very precious and rare- an approved adopter ready and waiting for them with a wonderful, safe and comfy aviary built especially for rescued king pigeons. I look forward to the day when every creature is so blessed.